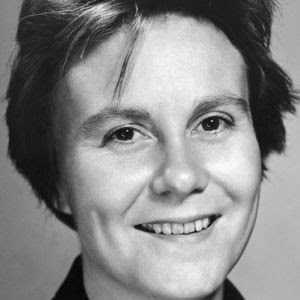 By now, everyone on the planet has heard that Harper Lee is about to publish her second novel (this July), 55 years after her classic To Kill a Mockingbird. This is great news for her devotees, who read it in middle school, bad news for any kid who had it crammed down his or her throat during middle school and hated it. I only read To Kill a Mockingbird for the first time a few years ago, well after the age of forty. How this happened, I don't know, but I am grateful that it did. In some ways, the book is wasted on people without enough life experience to truly appreciate it. Of course, it is also pretty accessible for kids and it serves as a great tool for teaching literary devices and character, but if one reads it in middle school, one should really go back to it, forget about the nuts and bolts of literary convention and enjoy it for its beauty. I guess my only point in writing this is to encourage those who haven't read the classic to do so and to encourage those who only remember it from seventh or eighth grade to read it again, especially if they hated it then, in preparation for the new book. ...Mockingbird really is a wonderful work of art. UPDATE: THIS should all be known. Things out of my sphere of knowledge and beyond the slight cautionary tone of this post (and of the Times article, for that matter) have been going on for years. Thanks to friend and reader Olga for pointing it out to me.